At the gateway to Lake Tahoe, the Truckee Hampton Inn & Suites is designed to complement its bucolic environment. 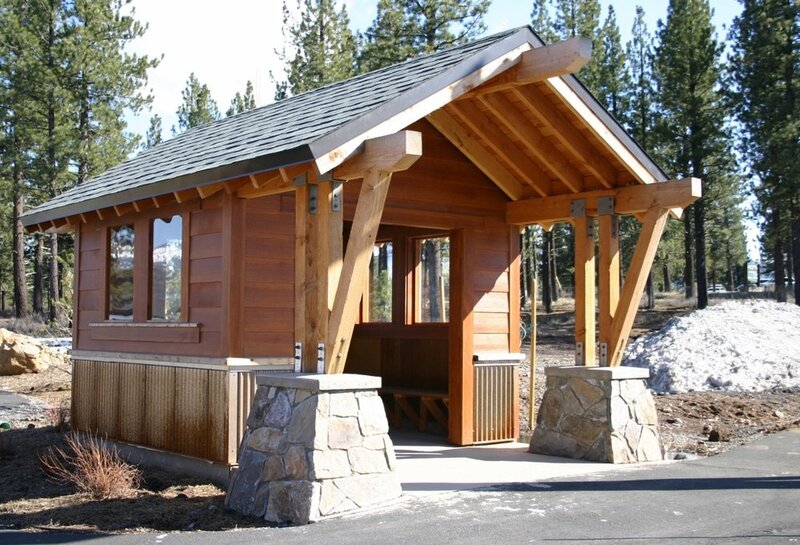 This mountain resort style of architecture, including wood siding, steep-pitched shed roofs and accents of local stone, ascribes to the Truckee town vernacular and the stringent requirements of the local design review board. The hotel is part of a larger site development which includes an office/retail building, a delicatessen retail building, a gas station, and a car wash. Amenities include meeting rooms, a board room, fitness room, business center, and suites outfitted with fireplaces and whirlpool tubs.